This time I try and create realistic pitch based vu meters. I noticed while doing this there isn't an inbuilt feature to ensure things stay nicely synced, I find PAUSE to blunt so used a MC routine that return false if not enough frames had passed or true if it was time for an update. 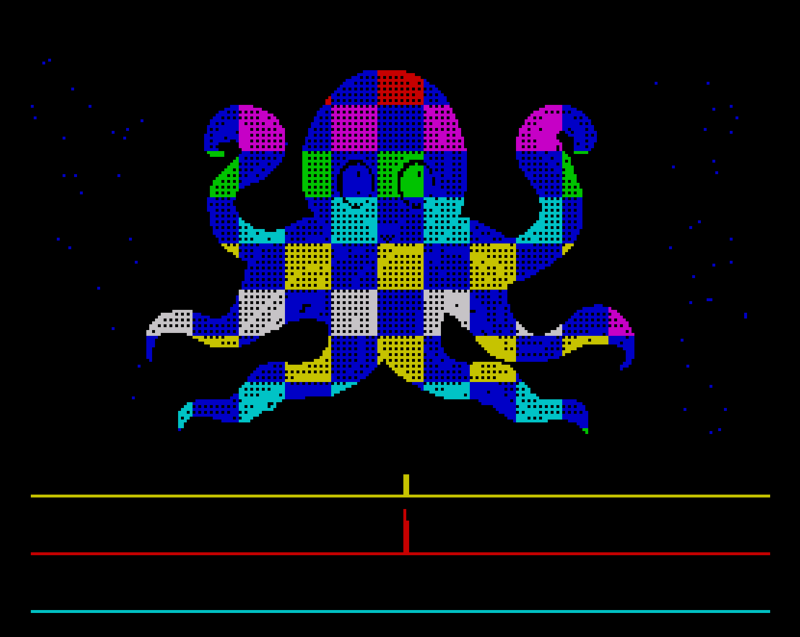 Music is converted from the Megadrive, music is on interrupts, uses Putchars for the octopus, some bits compressed with zx7. No, really! How can you do this? I see the source code included.